I played too much Cursed Treasure: Don't Touch My Gems. No, that isn't a TSA simulation game; it's a tower defense game. I finally finished it on Saturday. I was sick. I started coming down with it on Monday and it just got worse and worse until about Saturday when I mostly came out of it. Having a cold made it hard to motivate myself to do things. I mostly just sat around, which is why I played too much Cursed Treasure. It was Thanksgiving. Luckily, this year we weren't hosting the meal. It still meant that this week did not follow my normal weekly routine (insofar as I have a normal weekly routine). I needed to break precedent. I had been going along at a three-posts-a-week clip for a month and felt some pressure to keep it up. That is bad for a number of reasons. I need to be able to not feel guilty about not blogging if I really do not have time for it. Breaking that routine (and the earth not ending because of it) helps me with that a bit. Those are my excuses. They may be lame, but they are all I got. I have long believed that Nicolitalia Pizzeria is the best pizza in Utah. Even better than The Pie. When I was out in Utah a year ago I had "eat at Nicolitalia's" on my list of things to do. It ended up not working out on that tripv(because we never went down to Provo), but it gives you an idea of how much I liked their pizza. My wife and I were some of their first customers after they opened in 2005. We took our siblings to it for major events. We chatted it up with the owner. The owner told us about his pursuit of good cannolis. He shared a three day birth story with my pregnant wife right before we had our first child (after a labor spanning three days). He told us about his family's restaurant back in Massachusetts. On one of our last times there I discussed with my group how it was a shame the place was so empty. I worried that he would have to close up. That was a few years ago. Tonight my wife and I went on a date. We have a notoriously bad time choosing where to go eat. Today I decided to try a pizza place called Nicola Pizza House in Arlington, Massachusetts. I thought this was probably the family restaurant related to Nicolitalia's, but my wife was not convinced. She thought it was in Worcester. When we found the pizzeria it looked like a bit of a dive, isolated and next to an auto mechanic. My wife was even a little nervous about the neighborhood. Don't worry, we made it in safely. On the way in I noticed some pictures of the pizza and they looked similar to Nicolitalia's. As I walked in familiar smells surrounded me, but I also was overwhelmed by the menu which stretched across the wall and was several feet deep. Other customers were around, so we felt a little pressure to make an order. My wife still did not believe Nicola's was related to Nicolitalia's, so she ordered a steak & cheese. I decided that sounded pretty good and got one as well. While we were eating we saw a number of people come in and pick up pizzas, while some townies came in and got a sub. Then my wife overheard somebody asking the owner, Nick, about his son, Nick Jr. The father then explained how Junior was doing really well serving the best pizza in Utah. What was the likelihood? We decided to ask and make sure. We talked to Nick as we left and confirmed the relationship. We then found out the business in Utah was doing really well, and they were opening a second store in between Salt Lake City and Provo. Senior explained that his son was coming to town for Thanksgiving and that we could see him next Saturday. He got our names and said he was going to ask him about us. We tried to tell him it had been a while since we'd been there, but he didn't seem to care. We were happy to hear that Nicolitalia's was doing well, but we were more excited to find the same style pizza locally in Massachusetts. My wife then repeatedly berated herself for not believing me and therefore not ordering a pizza. Unfortunately, our plans for the rest of the evening fell through. After socializing a bit with some people we ran into, we decided we needed to go back and get a pizza. So we called in an order, drove back to Nicola's, parked right in front, and I went in (my wife stayed in the car). Nick: Nathan! You are back so soon. What's wrong? I explained that my wife had not believed me that this was the original family restaurant. Nick: Wasn't that your wife with you earlier? I clarified that she had believed Nick, but that she had not believed me before we asked him. I then told him that we had ordered a pizza. He got me it and I asked about the cannolis. Nick: We have packs of two large ones that are chocolate or packs of four small ones. If you want a pack of two large ones that aren't chocolate, I can go back and make you some. I ran out and asked my wife, and then came back in to finish my order. I explained that my brother-in-law was a fan of Nicolitalia's and he was watching my kids. Nick asked about my kids as I paid. As I was leaving I mentioned that we would probably be coming by a lot more now. He explained that he had been doing it for almost forty years. I don't think he gets many referrals in that direction. So we brought back a Nicola Pizza House pizza and four cannolis. Then my brother and sister-in-law joined us in eating it all. We had a chicken and broccoli pizza, just like we used to at Nicolitalia Pizzeria, and it was still awesome. After noticing that a few people comment on my imported feed in Facebook, I have decided to try Disqus. Supposedly it aggregates interactions from all over the web. I am not sure how it works. There will probably be some bumps in the road as I try to set it up right. Now I have to add my Disqus profile to my Google Profile. Now I have Disqus. Discuss. This weekend I beefed up my browser with a few more extensions. 1-ClickWeather for Chrome - There are a lot of weather extensions. I like The Weather Channel, but I have to admit there is probably a "better" weather extension out there. Amazon Wish List - I have an Amazon wishlist, and I also maintain my own versions of wishlists for my kids and for my wife. Amazon wishlists can even include things outside of Amazon. Doing that is facilitated by this extension. bit.ly | a simple URL shortener - Ever sent a link in an email and a line break inserted by your email client makes it not work? Ever try to insert a link mid-paragraph and find it makes the line breaks look weird? You need a URL shortener. Bit.ly is probably the most popular because of Twitter, but Google's is starting to have some legs. Google Mail Checker - I have had some trouble with this one because it sometimes loses my connection with Gmail. However, it is nice to be working along and see a nice little icon when new mail has arrived (instead of having to go back to the actual Gmail page to check. Google Reader: Note in Reader (Unofficial) - I used to have the bookmark to do this that you can get from Google Reader. The biggest problem with this is that I like to hide my bookmarks by default, which makes it hard to use. This solves that. Google Sidewiki - I have not ended up using this one much, mainly because I do not think Google is emotionally invested in Sidewiki. Hopefully that changes because I think it is a potentially good idea. Who doesn't want to be able to make comments about any arbitrary web page? IE Tab - Unfortunately, sometimes we need IE. Many offices require quirks of that horrible browser in their software. Microsoft often plays better with IE. This extension allows one to use IE inside a Chrome tab. Not perfect, but better than switching browsers completely. InvisibleHand - Supposedly this extension alerts you when you are paying too much for something. It throws up a warning like "You could get that for cheaper at Amazon" or something. I have hopes and dreams. StayFocusd - I mainly use this one at work. No, it is not a typo. It will shut down access to certain sites after a certain amount of time has passed. You use up your time for the day then too bad! Any really good extensions I am missing? Know of a better weather extension? Let's be honest: there are a lot of things wrong with my house. Most of the things we knew about going into the purchase, some we did not. One item that falls into the first category was the flashing on the roof. The previous owners had put on a fairly nice roof, but had then put some awful patch-job on instead of real flashing (see "before" pictures below). Last winter there was a leak in my daughter's bedroom and this summer we saw evidence of a couple other leaks. It was time to act. So I called around, read customer reviews, and got a couple estimates. 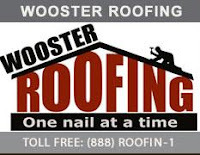 After discussing with my wife, we picked a local company called Wooster Roofing. Yesterday they started the job and today they finished it up. I think it looks fairly nice (see "after" pictures below). This flashing, along with our new gutters, and some better drainage (i.e. gutter extensions) should help us keep water outside of our house (including the basement). Yay! If you are looking for some roof work in the Massachusetts area, give Wooster a call. I am pleased with the results. So far. Maybe I won't be the next time it rains, but I expect I will be still. Elder Packer gave a controversial talk this past General Conference of the Church of Jesus Christ of Latter-day Saints (October 2010). I only caught bits and pieces of the talk (having kids makes it really hard to pay attention), but it was obviously a strongly worded talk against immorality. The most controversial part came when he addressed the the theological issues around California's Proposition 8. That particular debate is not the subject of this post. The subject of this post is related to what happened later. The Salt Lake Tribune reports how President Packer edited the transcript to "clarify his intent." You can read the article yourself for the details and the controversy. The significance to me is that I had not been aware of the practice of editing the transcripts. I also did not know about a previous (and more substantial) edit. The most intriguing aspect of all this (and the reason I am writing this post) is that I agree with Elder Poelman's original talk. I am not sure where it was inconsistent with the official position of the church. The talk is meatier and would probably find a more appropriate audience in a leadership training broadcast, but it still rings true. The original talk provides potential fodder for rationalization, which might be why it was changed. So what did Elder Poelman talk about? He originally talked about separating "the gospel of Jesus Christ" and the "Church of Jesus Christ." 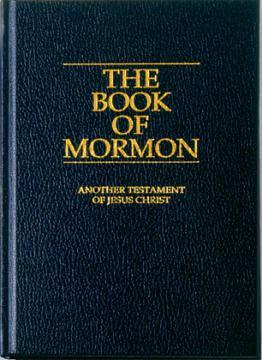 Said differently, Mormon culture is not an eternal gospel principle. I think that is something all Latter-day Saints should remember. I know, that title goes on and on and on. It adequately describes the topic of this post. The Lowell Sun interviewed the newly called ecclesiastical leader of my church congregation and printed the resulting article. My local church congregation (Mormons call congregations "wards") is having a linger-longer (social gathering after regular meetings) on Sunday November 21st. It is an annual tradition. This past Saturday we delivered invitations. Should be a good time and the food is always excellent. Check out the article on the Lowell Sun's website: Thanks for coming by Debbie Hovanasian. Please share the article with others (use the sharing buttons on the Lowell Sun's website)! My wife's cousin sent out a cry for help on Facebook the other day. Some malware had taken over their computer and neither she nor her husband knew how to get rid of it. My wife and I both responded to the Facebook post saying I could help. Her cousin called us the next day and then that evening helped them fix the problem over the phone. The name of the virus is Antivirus Studio 2010. This particularly nasty guy pretends to be a trial anti-virus program saying you need to upgrade (by paying). Basically phishing, but it also locks down web browsers and circumvents Microsoft Security Essentials. Not a nice program. It also explains why the cousin took a while to respond to our response and why they could not research the problem on their own. The site I found the most useful in my quest to remove the faux-antivirus was Can Talk Tech. Unfortunately, the site's design made me think it was some kind of lame demand media and therefore could not be trusted (please don't flame me). However, I eventually decided to go with it after looking around a bit more. It presented the solution two fairly straightforward steps. If I was going to avoid a trip out to their apartment then I needed straightforward steps. As your computer restarts but before Windows launches, press F8. On a computer that is configured for booting to multiple operating systems, you can press F8 when the boot menu appears. Use that recently re-acquired internet access in safe mode to download the free version of Malwarebytes. Install it and then run a full scan. That should take care of Antivirus Studio 2010. Ha! I snuck a third step in on you. For good measure, go download CCleaner and clean up the crap on your computer (C = crap). Specifically, I had the cousin's husband run the registry cleaner. Some other sites had mentioned some registry artifacts tweaked by the virus. I love crap cleaner. After that, the computer seemed to work fine and I was thanked like the amazing hero I am. "Hail, the conquering hero!" 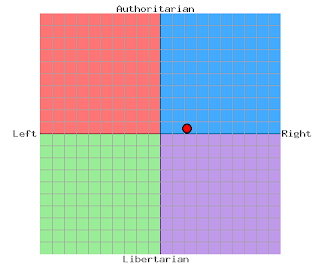 My brother-in-law wrote a blog post where posted his results on a couple of political spectrum quizzes. I figured I would do the same. He offered some commentary about the quizzes, I will not. Here is the first time I took the first test, right after his original post. Here's another test. I know, really exciting. Travel to your polling location. Seriously, why are you still reading? Don't stop reading forever, just until you vote. Voting is important, even if you are going to vote for those crazy TEA party people. After you have voted, take a minute to make sure you are fully subscribed to this blog. Go over to the Followers widget and follow the blog. Also subscribe to the post feed, the comment feed, and the page feed. It's a little more difficult than voting, not as satisfying, and not as important. It will make me happy, though. If you do one thing today, go vote. 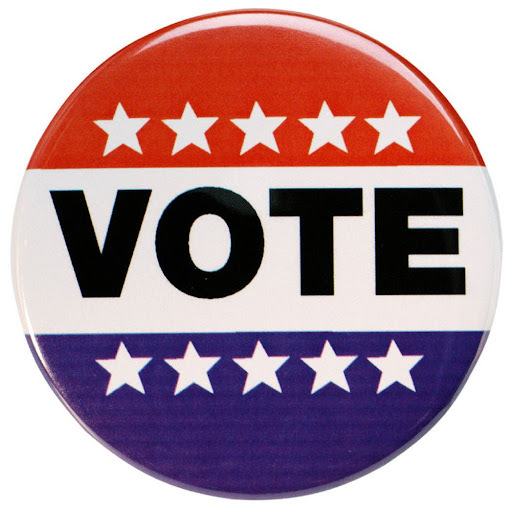 If you do two things today, vote and subscribe to my blog. I still love that trailer, even though I've never seen the movie. See what you might miss if you don't subscribe to my blog?